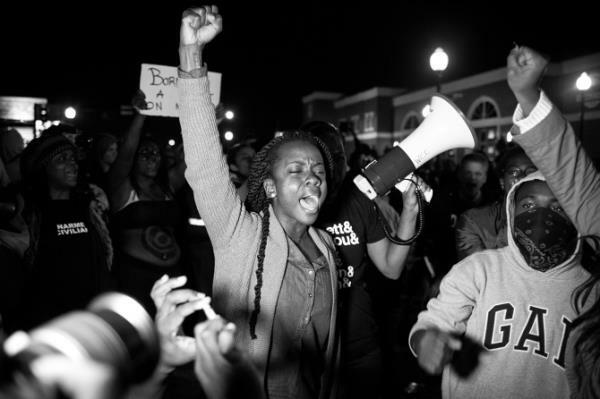 The activists and leaders who live and breathe this movement for justice bring you “Whose Streets?” a documentary about the Ferguson uprising. When an unarmed teenager Michael Brown is killed by police and then left lying in the street for hours, it marks a breaking point for the residents of St. Louis County. Grief, long standing tension and renewed anger bring residents together to hold vigil and protest this latest tragedy. In the days that follow, artists, musicians, teachers and parents turn into freedom fighters, standing on front lines to demand justice. As the National Guard descends on Ferguson, a small suburb of St. Louis, with military grade weaponry, these young community members become the torchbearers of a new wave of resistance. This event is a collaboration with POV, the award-winning independent non-fiction film series on PBS: pbs.org/pov.